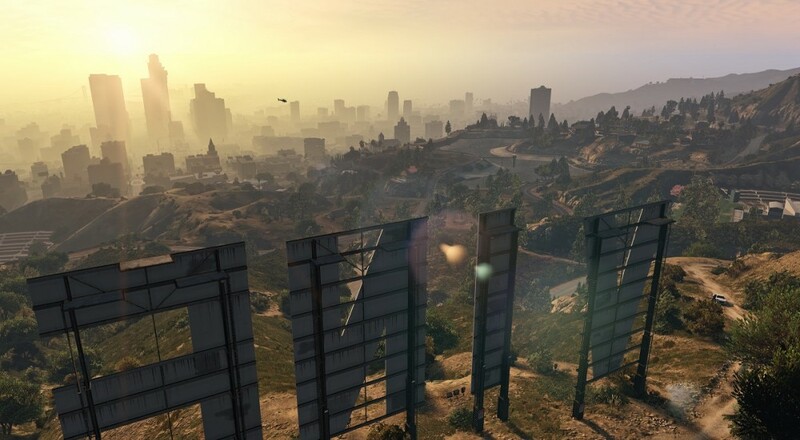 The often touted PC "master race" will finally get a crack at Grand Theft Auto V come APril 14th next month. Yes, the game might be a year and a half old on the 360 and PS3, but alas PC gamers can get a taste for the low low price of $59.99. (That's uh, the MSRP). The code is exclusive to GTA V (won't work on other games) and ends on Monday, March 30th at 8am Pacific. Be sure you have a valid address entered in the details of your GMG account before trying the coupon code though, otherwise there will be a problem with the coupon. An additional side note is that the game key that will be sent to you is a RockStar Social Game Club key, wherein the service is a requirement to use for GTA V on the PC (think L.A. Noire). It's a pretty well timed discount with the $1,500,000 in-game money pre-order bonus about to be reduced. Right now pre-ordering GTA V on PC will get you $500k in-game money to the GTA V single player game, $700k towards GTA Online, and $300k extra towards GTA Online. That $300,000 extra is about will get taken away after March 31st. With this offer ending March 30th you'll be able to take advantage of the discount and get the full pre-order bonus. GMG will also send you a key early when pre-loading becomes available. You'll want to take advantage of the pre-load too since the game is a whopping 65GB after installation. Page created in 0.5980 seconds.